Greg Kythreotis and Daniel Fineberg make up Shedworks, a game development studio with four years experience in the industry. They’re both self-taught and, as the name suggests, they conduct their work out of Greg’s parents’ shed in North London. At E3 this year, both Greg and Daniel took the stage to present their game during The PC Gaming Show. 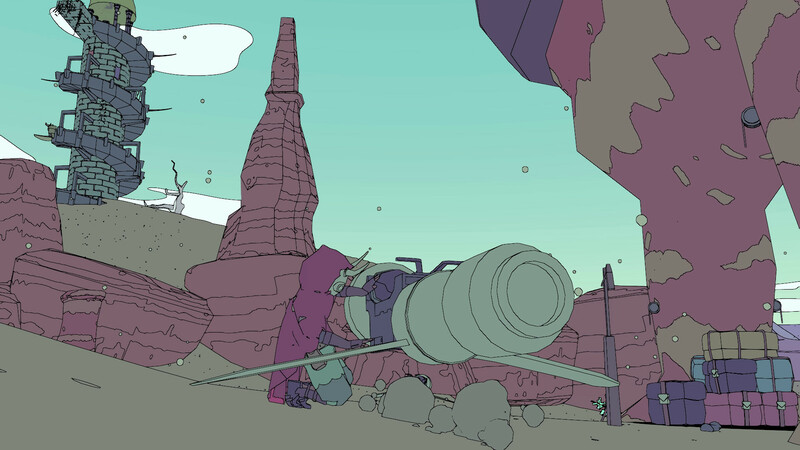 Unlike anything else seen at this year’s expo, Sable‘s dreamlike world and wonderful art style stood out, and its trailer inspired instant fans. 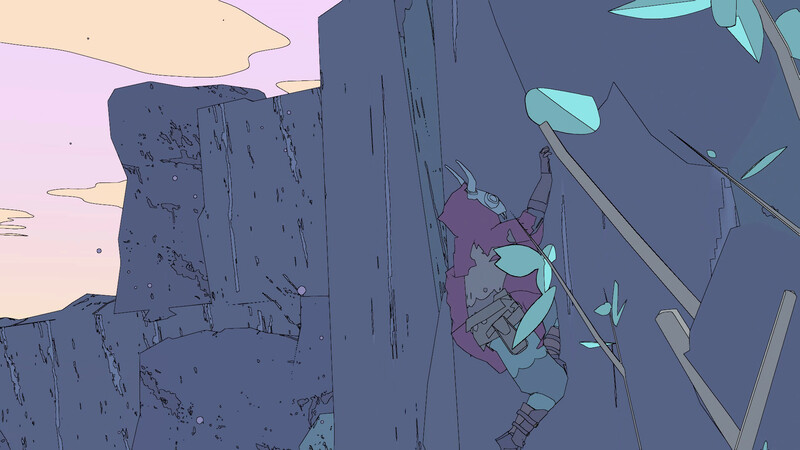 From the comfort of his family garden, Greg talked to me about Sable’s wide spectrum of inspirations, the struggle to convey the point of an abstract game, and what the player can expect from Sable. A simple but instantly compelling hook. Greg tells me they weren’t sure what to do with the idea, but they knew that they wanted Sable to be a game about exploring a vast desert, looking out and observing things and choosing to travel to and discover them. The initial prototype was a $5 asset store test with a sand dune material, a hoverbike and a cube. Greg and Daniel started tinkering with the idea and pitching the project to publishers. 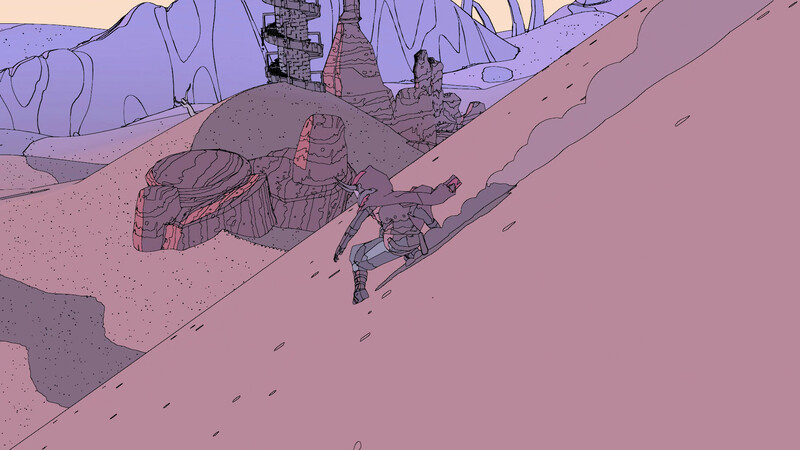 The open world scenery of Sable also takes inspiration from the styles of music the team listens to, with Greg noting Earth, Circa Survive and Japanese Breakfast as bands that create musical landscapes that influenced Sable’s direction. After the developers started out as fans of the band, Japanese Breakfast has now signed on to soundtrack Sable, and scored the sonically gorgeous E3 trailer. “The story of Sable is about pilgrimage and learning, its something everyone on this planet goes out to do at a certain of age. In that way, your character isn’t special, she’s just doing something that everybody does. Tagged with feature, interview, Shedworks.